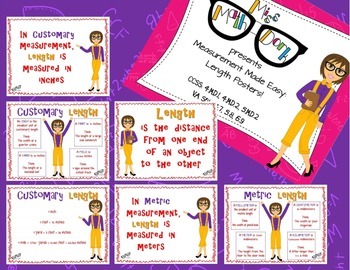 Capacity, Length AND Mass/Weight: Measurement Made Easy BUNDLED! Measurement, both Customary and Metric, are very hard for students to grasp. 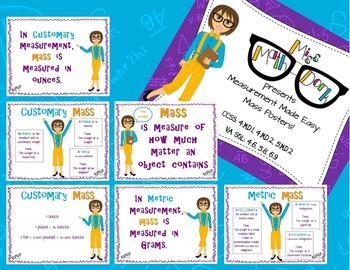 These fun, yet simple posters are a great way to help students mentally visualize standard measurements in a non-standard way! The posters are available in Length, Capacity, and Mass/Weight. You can also buy the BUNDLE and save!! 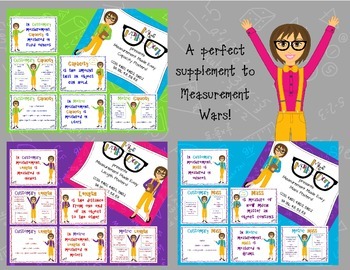 These posters are also a great supplement to my BEST SELLER Measurement Wars. Purchase each individually or bundled!